It was recently announced that the University of New England was given federal funding to develop a modern sheep data management system. The university received $490,000 from the Australian federal government to support the estimated $1 million project. The University of New England is working with the Cooperative Research Centre for Sheep Industry Innovation to create the sheep data management system. 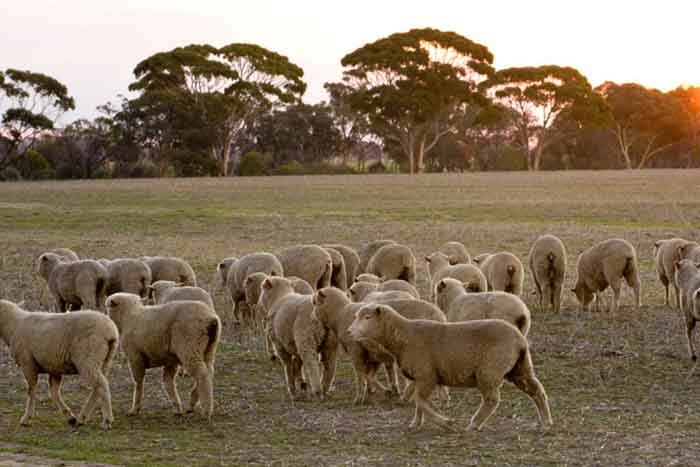 The Cooperative Research Centre for Sheep Industry Innovation works to enhance sheep wellbeing and productivity, facilitate faster affordable genetic gain, and provide quality based sheep meat value chains. The centre is co-funded under the Commonwealth Government’s Cooperative Research Centres Programme. The system developed through this partnership will use knowledge derived from data analytics to drive automated processes. It will also integrate data-capture, storage, sharing and analysis with the aim to improve the wellbeing of the animals and produce marketing insights. Barnaby Joyce, Minister for Agriculture and Water Resources announced the federal funding for the project, alongside the university’s own Professor Iain Young, Head of the School of Environment and Rural Science, and Professor James Rowe, Chief Executive of Cooperative Research Centre for Sheep Industry Innovation. Minister Joyce pointed out that farmers receive an estimated $12 return within 10 years for each dollar the government invests in agricultural research and development. So a project like this would generate a great return on investment for both the federal government and the farming industry. “There are a number of technologies already available, such as semi-automated measurement systems and electronic identification, that are limited in their uptake due to the lack of integration with other operating systems and the difficulty in getting the most value out of the data,” stated Professor Rowe. “UNE is at the forefront of developing the best technologies for agribusiness. This new money will allow us to develop state-of-the-art on-farm and in-Cloud technology for the nation’s sheep farmers,” Professor Young stated. The Australian Federal Government invests $700 million each year in research and development for rural activities. Projects such as this one being developed by the University of New England, will transform the farming industry. Using this advanced technology, the university will effectively reconstruct the job of Australia’s sheep farmers.